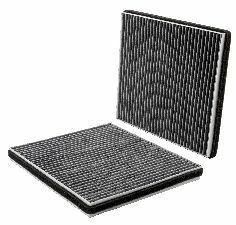 We stock Cabin Air Filter parts for most Hummer models, including H2. For vehicles equipped with Cabin Air Filtration. NOT ALL VEHICLES CAME EQUIPPED. Please check vehicle specifications before ordering. Bosch Particulate Filters absorb up to 100% of all pollen, dust particles and harmful substances. This results in a noticeable improvement in the air quality inside the vehicle.